You know ASDA sent me meat and cake? Well, even though I really do love meat and cake a few weeks ago they sent me the best package ever, ever, ever. 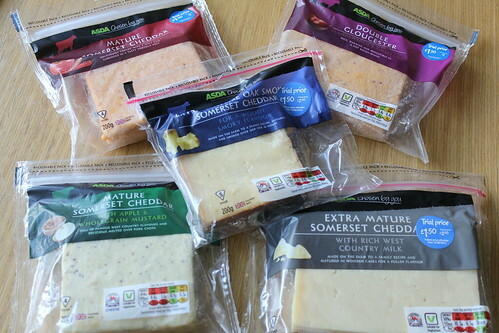 They sent me five packs of cheese. Garry and I did the sensible thing and immediately dove in to the extra mature Somerset cheddar with crackers and chutney. It was delicious. Genuinely, totally, completely delicious. As was all of the cheese. 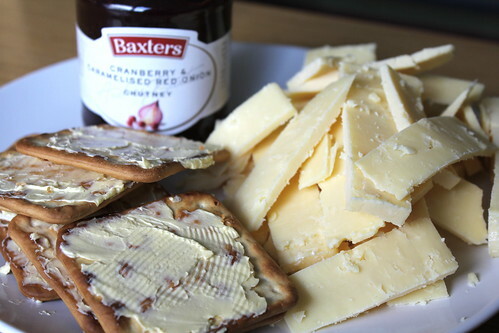 My favourite was the double Gloucester with Ploughman’s chutney — my GOD, it was so creamy and rich and gorgeous. 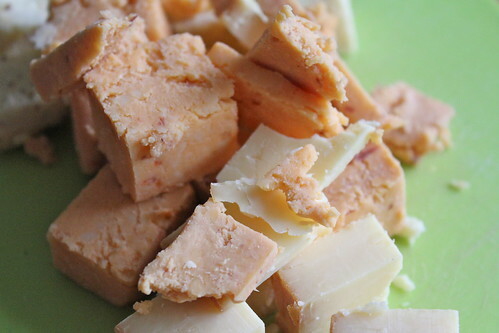 Although the mature Somerset cheddar with apple and wholegrain mustard was a close second. These are some incredible cheeses, guys. So what did I do with all this delicious cheese? 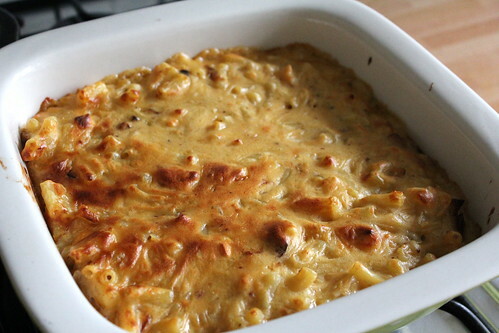 I chopped it up and melted it with macaroni to make the most mind-blowing macaroni cheese ever, ever, ever. Ever made mac ‘n’ cheese? It’s easy. 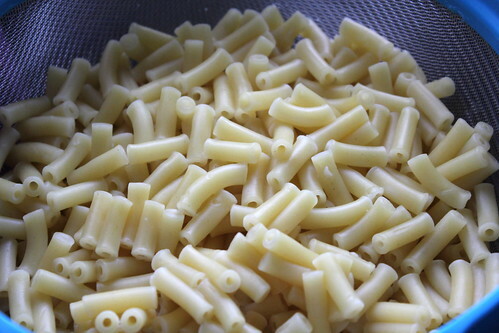 You boil macaroni until it’s soft, but still with a slight bite. 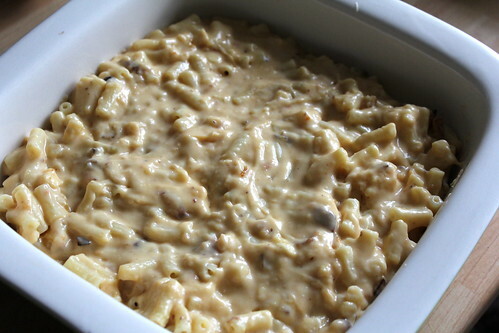 Then you mix it with a hella lot of cheese and put it in an ovenproof dish. Bake it until it’s rich and warm on top. Pile into plates and devour it. Feel your heart swelling with joy as you eat it. Well, joy and fat. But mainly joy. THAT LOOKS INCREDIBLE! is it wrong to want some before 10am! I WANT THIS IN MY FACE RIGHT NOW. Yum.